Oh..just man up and get a gun. If you get honked at a lot, it might be a sign that you're doing something right, for all we know. There may not be a way to know. @canklecat, how long will it take me to get used to the excessive honking in NYC? I've been back since 2013, and my nerves have calmed down only a little bit. It's really insane. And these are not hello or I'm-passing-you honks. I've had neighbors comment that they honked at me to say "hi" while I was riding. And, wouldn't you know it, I just ignored it, not recognizing the cars. Yeah. At least they’re not throwing cans or bottles! A blonde in a convertible Camaro passed me yesterday, doing about 60 in a 45 zone, but she gave a good 20-foot margin. The minivan was about two feet away, and I was as far to the right as I could be. I really need to install the rear view mirrors I got for Christmas, so I can keep an eye on the enemy. 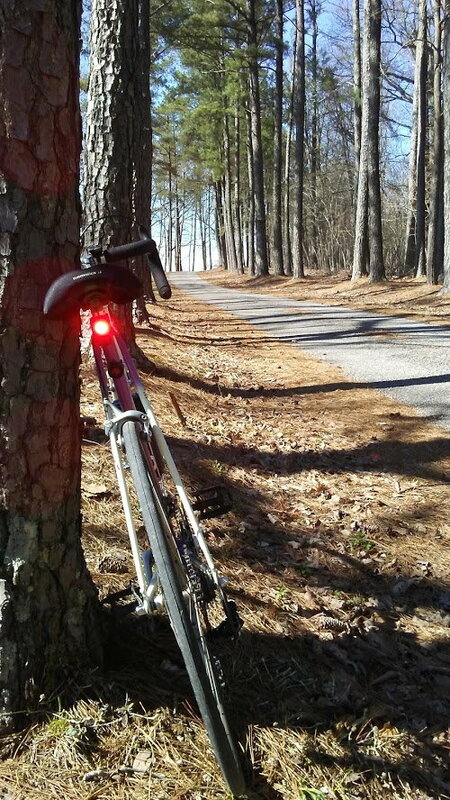 In SC traffic regulations for bicycles state to “ride as far to the right as practicable,” which I try to do. The roads I frequent were once strictly rural, but urban sprawl here has brought more and more traffic, and poorer drivers! In the right-hand traffic lane. Guess some drivers think otherwise. I find behaving like a vehicle the most comfortable place. Take the lane, stop at stop signs, (mostly), and be visible and predictable. Option B: Put on some cut off jeans, a pair of all star sneaks, and no helmet. Ride with a little wobble and as cars pass, swerve out into traffic, just a foot or so. If you look like you haven't been on a bike since '89 you get a nice big space cushion! That’s what I normally do. Dunno. I'm not sure I'd be as blase about it now as I was when I was a kid. Judging from some folks in my neighborhood, as far right as possible means somewhere to the right of Pinochet and Duterte would just fine. I actually do the wobble-swerve occasionally when I check my mirror and see a car approaching directly behind me when they have a whole 'nuther lane or plenty of room to pass. I'll pretend I'm dodging broken glass or armadillos. Usually nudges 'em over. Yeah, when we were kids, everything was normal, because we had no comparisons. I remember sleeping over at a friend's place in a quiet suburb, and I couldn't sleep because the silence made my ears ring too loudly. I lived over a loud street as a kid. I hadn't thought of the wobble swerve to "signal" to drivers behind me. I do it to oncoming drivers and drivers on side roads looking to turn onto my road. Love the comment on Duterte and Pinochet. Oh, cities can be annoying with all the racket of horns and sirens. I have some frogs that seem to want to make quite a racket at night!!! I've been honked at many times, and even openly insulted for simply being on the road. began to cheer and encourage me to conquer the beast. I laughed and nearly lost my cadence. Location: Arid Arizona, for now. Near the end of my ride yesterday in a very low traffic neighborhood next to mine I had a BMW creep up on me, and once right behind me lean on the horn. Startled the heck out of me. I had looked behind me just moments earlier, and nothing was there, so he must have come out of a driveway or side street. Some people have no patience, nor politeness at all. A slight tap on the horn would have sufficed. I've ridden with a small mirror mounted on my glasses for maybe 45 years. See my avatar. Something that I noticed years ago was if I turned my head to the left indicating that I noticed a car coming up from behind, most of them would move over and pass at a wider distance. Very few honked when I did this. I've tried a lot of different mirrors. I like this Third Eye mirror the best. These days I'm more careful about fast cyclists overtaking me. It seems like the inconsiderate ones think THEY own the road! Maybe it's been that way for a long time? One other thing about honkers that I've noticed while driving, it seems that they hit their horn way before they hit their brakes. It's as if any obstacle in front of them will disappear. They must have no concept of the laws of physics - sound waves have little effect on the motion of the 2000-3000+ Lb. box they're riding in. Last edited by verktyg; 04-14-19 at 06:04 PM. I've ridden with a small mirror mounted on my glasses for maybe 45 years. 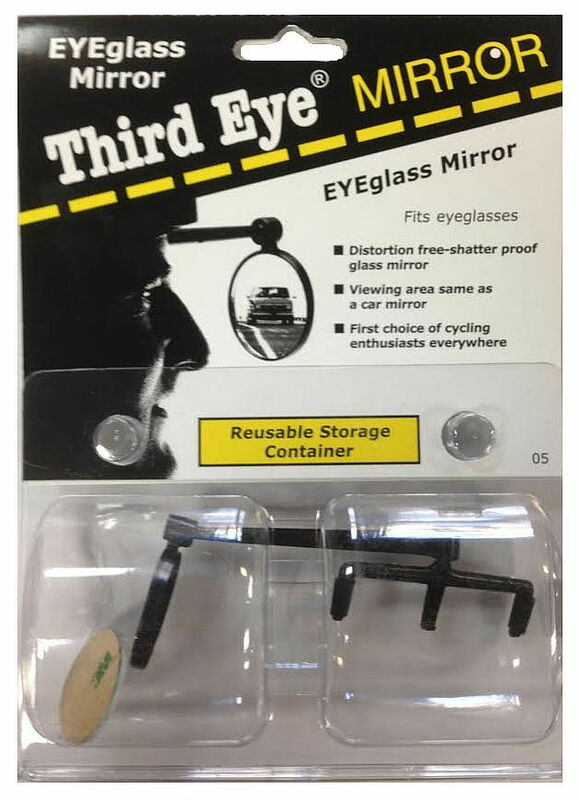 I've only had the glasses mounted mirror for 32 years, but took a thirty year hiatus in riding until last year. I still use that same mirror though, and check it often as I am paranoid about cars behind me, or anywhere for that matter. I agree when they know you see them they often back off. I use the head turn method myself. It is as if you suddenly become real, or human or something. In this instance the guy just crept up on me out of the blue as I had just checked my mirror. A dog chased me the day before. Isn't riding fun? Roads, only on organized rides with motorcycle support. Roads are no longer safe for cars, we've been rear-ended twice in the last six months. We do have dedicated bike paths, that's where I ride, though I do have to ride some road to get to the path but that 's in a wide bike lane and a lower used arterial. The narrow bike lane with 4 lanes of traffic driving 15-20 mph over the speed limit, always feels like I'm placing my life in the hands of the next distracted drivers. Having watched to many weave half/all the way into the bike lane. Even the bike trails are dangerous zombie walkers with ear buds, children (you just slow down, stop and always encourage them the next generation of bike riders), dog walkers who allow the leash to stretch across the entire bike trail, and then Joe the Biker going 15 mph faster than you with no signal except the flash as he passes you inches away, every time that happens I think of the bike paths in San Jose all with enforced 12mph speed limits. You don't want to here this but I recommend moving. I am blessed that most of my riding is in Oro Valley, AZ with huge bike lanes everywhere, a couple months every year in the Bighorn mountains where people treat cyclists with respect and give lots of room and a few weeks every year in Portland, OR where bikes are accepted, like rain or taxes. I am sure I have been honked but just can not remember a single incident. Unfortunately, although very appealing, relocation is not yet an option. It must be nice to have good cycling infrastructure. Bike lanes here are only found in the bigger cities. I ride to get away from crowds, so that’s out. There’s a decent MUP in Greenville, but it’s congested with walkers, joggers, runners, etc. I could ride where my parents live, but the roads are in bad shape. I’ll try using the head turn trick mentioned above. It’s just been awhile since I’ve had anyone honk. When I was riding regularly a few years ago, the honks rarely startled me. Last edited by horatio; 04-15-19 at 04:41 AM. Bikes: Wabi Special FG, Raleigh Roper, Nashbar AL-1, Miyata One Hundred, '68 Schwinn Orange Krate, and More!! I figure a honk means they see me, and are unlikely to hit me. Monitoring my helmet mirror means I know their position, and I always keep some buffer to my right to glide into if necessary... or fully take the lane if it's not safe to share. Look backs and sometimes hand signals help when fully using the lane. Some people pay for that. Did a 30 mile ride today......towards the end, I had a teenager hanging out of window, (car came up from behind) and he screamed just feet away from me as the car past. Really startled me. Why do people treat others like this, I will never understand it. I've had that -- right at the end of a good ride too. Really harshed my mellow. I hate that someone toxic can touch my emotional core so easily, but it goes right in. I've been using a helmet mounted mirror for four years now and it really helps. I can spot a car from a great distance and then use the "look back" method as well as waving them around long before they get close. It functions more as a clear signal of you knowing they are there and I think that helps prevent honking and "sneak passing". What would be really good would be clear public knowledge of the possibility that "those front and back flashing lights" were also auto-radar triggered cameras. Anyone from Cateye out there listening in? Thanks for all the great suggestions, folks. I like the "wave around" idea. Seems I've used that in the past as well. I haven't ridded much in the past six years. Time to refresh my bag of tricks.